It's the Future. Now Where’s that Hoverboard? In Back to the Future II, 2015 is full of ubiquitous flying cars, holodeck-like 3D movies and all-terrain, levitating hoverboards. While these technologies certainly aren't as common or advanced as they are in the movie, early versions DO exist. AeroMobil is bringing the world flying cars. Microsoft's RoomAlive project uses their Xbox console and Kinect sensors to change rooms into interactive experiences. And to much fanfare, Hendo built a hoverboard that actually works...but only on expensive copper floors. So, as cool as these projects are, it's pretty unlikely that reality will look anything like the one Michael J. Fox traveled to in 2015. Now that the end of 2014 is upon us, we're thinking about what next year holds and how our world might change. If there's one constant in the world of technology, it's change itself. Disruption happens and with it entire markets will evolve. But what factors will drive this change? While no one knows for sure, we peered into our crystal ball to share these predictions on the coming year in tech. The cost of cloud storage falls to zero. Competition in the cloud storage industry is fierce and prices will continue to plummet in 2015...to zero. Box CEO and colorful footwear trendsetter Aaron Levie told The Information in November that he sees "...a future where storage is free and infinite," and we're already starting to see this take hold. Microsoft is offering unlimited OneDrive storage for Office365 users. Amazon is giving away unlimited Cloud Drive space for Prime customers interested in storing their photos in the cloud. In 2015, the cloud storage industry will give storage away for free, but will instead charge for collaboration, security, automation, and integration features. Some companies' monetization strategy may have to completely change while others will simply reposition what the customer is actually buying. And don't be surprised if a new company emerges that gives unlimited cloud storage away for free from day one. The end of life of Windows Server 2003 in July 2015 will drive some big decisions for IT. According to Microsoft, organizations worldwide are still running more than 24 million physical and virtual instances of Windows Server 2003 despite a looming deadline and the risks EOL brings. Many holdouts are using antiquated hardware and operating systems - our data shows 45 percent of on-premise servers are still running WS2003 and 41 percent of servers are 7 years or older. Ouch! And it gets scarier. Our data also shows 70 percent of financial organizations and 65 percent of retail businesses are still running at least one instance of the decade-old OS. WS2003 upgrades will force IT departments to make a lot of tough decisions. Do they purchase a new server and upgrade OSes? Will they move those WS2003 applications to existing, virtualized infrastructure? Can they? What about deploying IaaS or cloud-based applications instead? There are numerous decisions to be made and not much time to make them. Security grows as a business...in the wrong way. Proliferation of "for profit" hackers, zero day exploits and advanced threats will mean more security breaches in 2015 than any other year -- many of them in the public cloud. Why? Hacking is now a big business. For instance, CryptoLocker earned its authors around $125 per hour in the first 100 days of its existence by encrypting and holding data for ransom. In the future, more hackers looking for a quick buck will target cloud providers as consumers and businesses shift sensitive -- and valuable -- data from on-premise storage devices to cloud services. If that wasn't enough, mobile security will be a bigger issue than ever as employees bring more potentially unsecure mobile devices, wearables, and other connective gadgets into the workplace. Adding to the risk, a recent Spiceworks mobile security report showed that 96 percent of companies that support mobile devices allow some access to email, calendars and contacts on employees' devices. The on-premise physical server will be alive and well in 2015. Technology changes rapidly, but sometimes sticking with tried and true tools that "just work" makes more sense than spinning your wheels chasing the latest and greatest. In the coming year, cloud infrastructure vendors will announce the death of the on-premise server and shout it from the hills, but trusty local servers will never go away, at least not any time soon. Similarly, technology observers have called for the death of the PC for almost a decade yet there are still more than 300 million PCs sold every year. Despite the huge buzz around the cloud, there will always be a need for a dependable local server that doesn't have to rely on an external Internet connection, provides total control, enables 100% customization, and protects sensitive data. It's still likely that one day connectivity speed, security, and privacy issues will allow cloud services to more completely take over the world. But like a day when I can reliably fly around town on a fully functioning hoverboard, that's probably not going to happen any time soon. 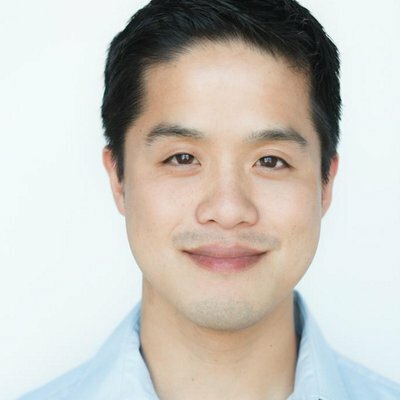 Peter Tsai is an IT content and data guru for Spiceworks. He is a former System Administrator turned computer engineer, IT blogger and food critic extraordinaire.